This is a very interesting article and some of the ideas in the posting are well thought out. To those of us who are athletic and are familiar with Under Armour products, they are definitely of very high quality. I think Under Armour needs to take bold initiatives to try and penetrate a market that is dominated by Nike and Adidas. The Olympics is a great way for the company to branch out and reach a wider audience. Though I must wonder, are they going to come up with a unique line for the Olympics (similar to what Nike did in London) or will they simply just look to enter into agreements with athletes and get them to wear their gear? I would argue that simply getting their product to be visible should be their primary focus. Taking on too many projects under these circumstances is not a negative as they are in a growth and expansion phase. They need to pursue multiple options and simply get their products to be seen. Under Armour has taken off in the United States as many NFL and college players especially wear the gear. They have already begun to expand globally as, for example, Tottenham Hotspur of the English Premier League (soccer) currently wear Under Armour uniforms. If we continue with this soccer example, Nike did the same thing in the mid 1990’s. They launched a few products and associated themselves with a few teams. A sport that was primarily dominated by Adidas had been transformed by the 1998 World Cup where numerous teams were sporting Nike uniforms and Nike gear (and overtaking Adidas in the process). Under Armour should look to how Nike penetrated the international soccer market and follow similar steps as it looks to break into international sports. I thought this article was really interesting, and I commend Under Armour on their efforts they are putting forth. First, they recognized to go outside of the US in order to increase their sales. I work in the fitness industry and was also a college athlete, and Nike and Adidas have had a stronghold for years on universities and leagues among many sports, which has hindered growth from many sports companies, not just Under Armour. Under Armour realizes that if they want to increase sales, they have to expand their game plan by doing things such as increasing marketing in other countries, as well as working on different product lines for popular emerging sports markets, such as yoga. The Olympics can definitely be their catalyst for getting themselves on the map in a great way! What I caution them on is being able to be ready for the publicity and sales that will come. Companies like Nike and Adidas have factories and stores all over the world; will Under Armour be ready for the influx of orders that could very well happen from the Olympics? The Under Armour is becoming bigger and bigger in the sports nation and this is because of the endorsements that they are giving. Many people didn’t know about Under Armour, and the best thing to do to get the name our there, was to endorse big name sports figures. They did a great job of getting some of the top name athletes like Bryce Harper, Tom Brady, Ray Lewis, Cam Newton, Michael Phelps and Lindsey Vonn. By endorsing these athletes it has opened new territory for them and by having some of these endorsements in the Olympics, it should help with their push into the next Olympic games. The games would be huge for sales, but they have to ready for that type of demand. The products that they have come out with, have been game changing and it seems that with the extra push to produce more innovative products, they can take more market share. They need to make that extra effort in the types of products coming out in order to catch up with the competition. Under Armour is beginning to become a huge name and have taken market shares away from Nike, Adidas, and Reebok. If they continue with this effort there is no reason that they cant be recognized in the same conversation as their competitors. 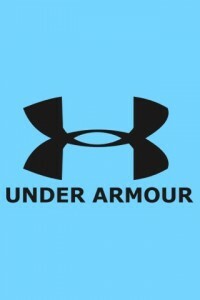 This is a very interesting blog post that brings up a number of intriguing topics and questions regarding Under Armour and their aspirations to increase their market share outside North America. UA has a large customer base here in the states because of their commitment to American football. Although I can’t say that I am surprised with their lack of influence overseas considering the word’s (outside the U.S.) obsession with soccer and the popularity it has garnered. However, I do think UA could compete with industry giants such as Nike and Adidas because of their product quality if they place an emphasis on getting involved with soccer (futbol) and designing products focused on the sport. The Olympics are definitely a great place to start, along with obtaining contracts that sponsor well-known players around the world, much like both Nike and Adidas do. I wonder which strategies they choose to implement to achieve their goals expanding internationally. I think Under Armour is doing what most companies do; they want to increase their sales by growing. The market that UA is in is really tough. Nike is the leader and it is tough to compete with a well established brand. I think the summer olympics will be a good way for UA to get recognized. I don’t see this expansion hurting UA. I definitely love Under Armour. So I think it is a great idea that they are expanding their brand by introducing sports bras and yoga pants. I would definitely buy them. I also think it is a good idea they are debuting their new line at the Olympics. I just think that the summer Olympics in 2016 is so far away to introduce a new line, while the other competitors already have their lines intact and are introducing new things all the time. I would like to see what Under Armour has in the future. Under Armour should have no issues with international expansion. For those of us who have gotten the chance to own an Under Armour product, it goes to show that this is definitely a top of the line brand. I think showcasing at the 2016 Olympic games is an awesome idea. But why wait so long? Could there be other ways to perform such a large task? Perhaps they need to wait so long in order to put all of operational and marketing ideas together and put that plan into action. If they are choosing to ship all of their products to Brazil, they’re going to need a lot of products in order to satisfy a demand as large as the one at the Olympics. They’ll need to not only ship all of those products to Brazil, but also find a place to store and sell them. If they want to create new ideas and products specifically for people in certain areas of the world, they’ll need to conduct studies to see which materials and fitness gear those people prefer and need. Since they have only branded and marketed in the US, they also probably need to do research in the countries that they choose as their target markets and see how those people react to different types of marketing strategies. Although it seems like the 2016 Olympics are far away, Under Armour has plenty to do to keep themselves busy until then. I think what Under Armour is doing is exactly what any company would do once they have success in their domestic market. 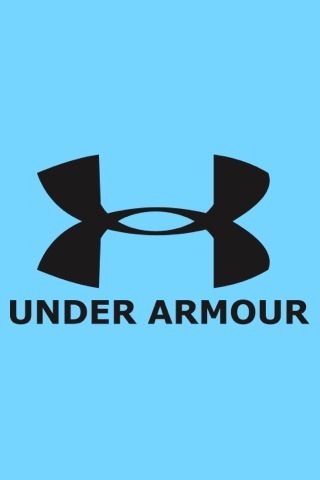 I feel that Under Armour has done very well in the past couple years and it’s time they try and expand and move out in to the international market. And what better way to do that then at the Olympics, where people from all over the world are there or watching on TV. I think that will really help them and give them a good start in to the international market. Great post, I personally prefer under Armour over Nike or Addidas athlethic wear. They make quality product as well as useful in terms of specific functionality i.e long distance running shoe or moisture wicking” shirts. You pointed out that their minimal market impact on outside the U.S. I am sure the Olympics will be a huge surge and exposure for them. I was surprised that they didn’t advertise during the world cup. Advertisers are spending as much as the super bowl in the world cup now days. Here is an interesting Interesting article (http://www.businessinsider.com/world-cup-social-media-campaigns-rival-superbowl-tv-ad-spot-2014-7). As far as the in the US they are making moves especially in the NBA market. I am sure most of you were following their heavy approach towards Kevin Durant. They practically forced Nike to pay Durant 300 million dollars in order to stay with them. Honestly to be able to see another company is a breath of fresh air as competition grows we most likely will see better and exciting products from Under Armour.